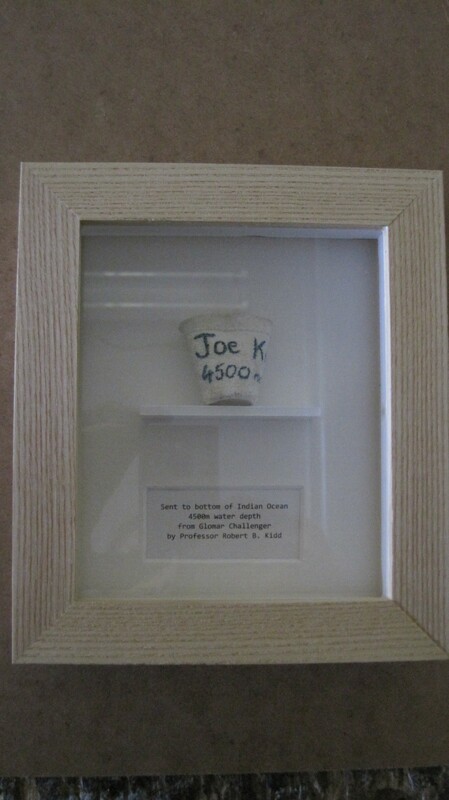 One of the most unusual framing requests….this tiny cup, about 30mm high, made from polysterene was once a full size coffee cup. Having travelled to the bottom of the Ocean to 4500 metres the immense pressure has squeezed it to this miniature dimension. Paris…there we were! Or as Max Boyce would say “I was there”….